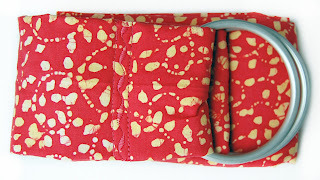 I love the brown swirls infant scale sling! 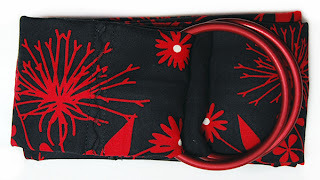 I think that pattern is my favorite of all the sling fabrics. I like the basic linen slings, especially the natural stripes color! My favorite is the green swirls infant scale sling! I really like the orange circles scale sling. What a wonderful giveaway! I am a doula in training, one day naturopathic doctor / midwife (I'll most likely start school in the fall!). Not sure if that warrants a second entry, but this would be my first real piece of gear. How exciting! Ooh Oh! I like the orange flames one :) What a neat idea; if I don't win one, I'm making one for the baby in March. Oh, its hard to pick a favorite. I love them all. I think the brown retro is my pick. So pretty! Also a midwife... I could use one of these! I'm also a doula :) And, if I win, please email saraandclaire@hotmail.com. The google address is outdated. I like the green daisies! I love the mother and child matching sling sets and I love the red bloom fabric. It's hard to choose a favorite, but I really like the brown swirls batik fabric. Thanks for the chance to win! My favorite sling is the cream and print linen sling...so beautiful! i think the retro brown fabric is my favourite... thanks for the awesome giveaway! 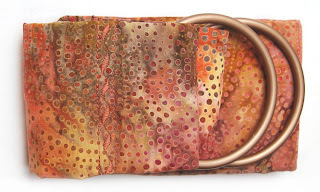 I love the dupioni silk slings--beautiful! Amber sunrise is a great color. I am also a doula and student midwife. 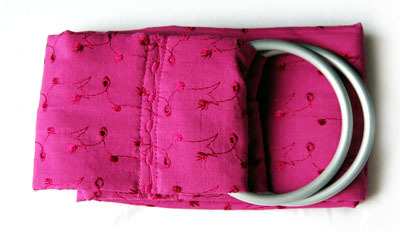 I like the mother daughter sling sets- am a student drop out midwife, so I guess I don't count! I absolutely love the purple stripes linen sling, so beautiful! Hmm, the retro brown is also my favorite! However, camellias are my favorite flower so that one is a close second. I am a doula and a midwifery student, Thanks so much! My choice: the linen slings - particularly the screen printed cream and vintage linen - love it! What an amazing giveaway! Thank you both! I'm a sucker for the children's slings. Absolutely adorable! I like the green swirls with silver rings best of the bunch. Wish they had some blue fabric though! I love the retro brown scale sling! I love the red vines. I'd love to snag this for a friend who is taking her NARM exam this week! I like the retro brown scale sling. I also liked that they had slings for dolls too. I am in love with the retro brown! I love the silk slings, especially the warm, muted colors. I'd love to give an infant scale sling, perhaps in green daisies or swirls or red bloom, to a friend who is taking the NARM exam today! I really liked the iridescent plum silk sling! They are really beautiful! I am a doula as well. I love the geometrical batik. I bought an infant ring scale for my midwife before my baby was born. Of course I would love to win one for my other favorite midwife! All the fabrics are gorgeous. I absolutely love the Retro Brown & Brown Swirls. It's hard to pick! I think I would want a surprise in the mail if I would win! I am a new CNM & FNP also!! Oh, man, I LOVE that red bloom. Also, surveying the site, green swirls & the sea creature (it seems like bad luck to write "crabs" on a pregnancy blog) are great too! I love your current vintage sling set: Vintage Linen Mother & Child Sling Set. My eldest daughter loves to mimic mama and baby sis with her baby doll. I am also a Doula. My second bonus entry - with the same opinions expressed :) Thanks again. Hi Rixa - your slings are gorgeous! thanks for the competition. I'm a doula/pregnancy coach & absolutely LOVE your vintage mother/child sling set! The vintage set is gorgeous! 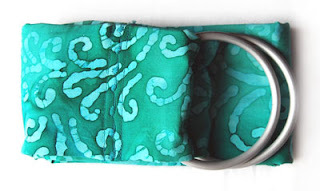 I like the turquoise linen sling. Also, I am a doula. Retro brown reminds me of my midwife! If I win I'm going to gift (regift?) this to her! I know she would love it! I LOVE the red bloom! Normally I am anti-red just about anything but the Red Bloom is just stunning!!!! That is definitely my favorite sling scale fabric you have listed!! 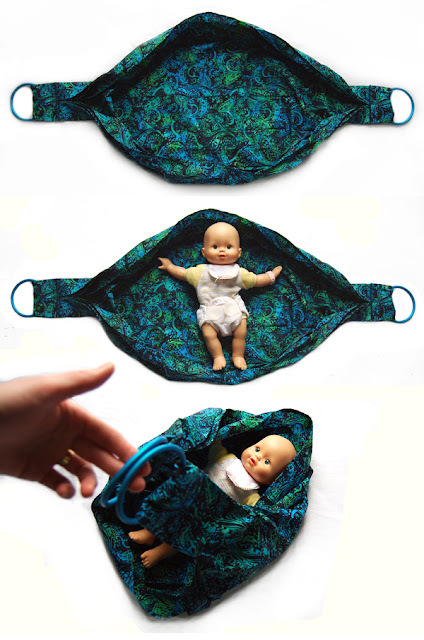 I am also a doula and student nurse-midwife and would LOVE to have one of these for my someday (hopefully not too far in the future) practice!!! Thanks for the awesome giveaway! I love all of your slings, they are so pretty. Amazing colors, amazing patterns. 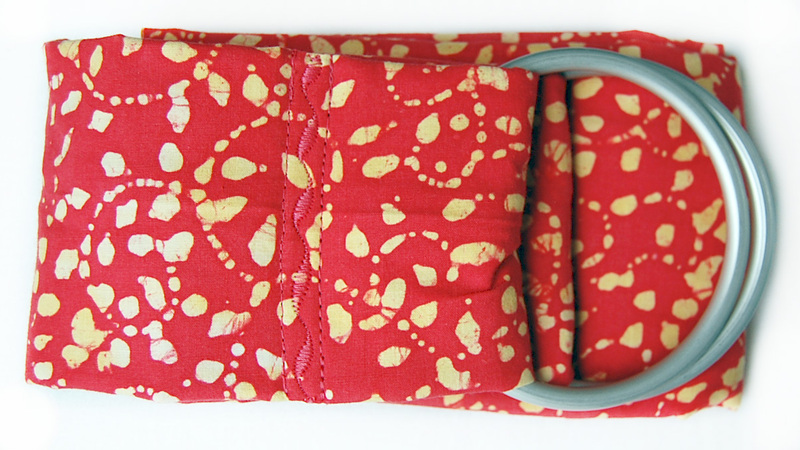 I think the red vines infant scale sling is the top of my favorites( I also love the orange circles and green swirls one). I am also a midwifery student from Europe. Thanks so much for opening this to everyone in the world. Looking at your slings reminds me of the amazing fact that I will work as a 'freelance' midwife from first of April next year. I am so excited to start! What a lovely gift this would make for my wonder friend and midwife Rhonda (who is coming to from far away to hopefully attend my first birth). I like the vintage sling. I love the Vintage Linen sling. So natural and beautiful. I'm also a doula, and would love to put something so beautiful to use. My favorite is the silk sling; it's pretty and also light - good for a summer baby. 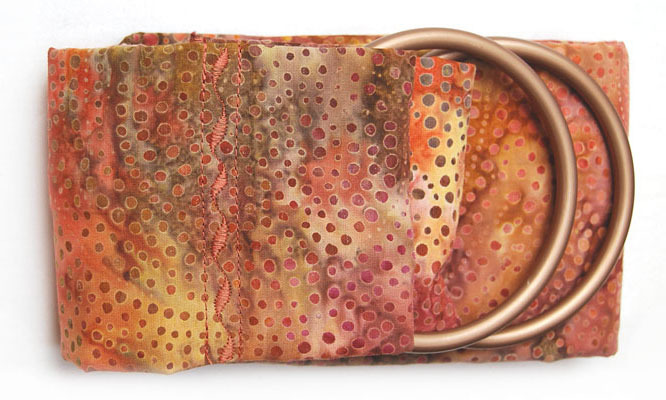 I love the silk Duponi slings, especially in hot mango! I have no idea what my favorite sling is, as I haven't used one yet, but I am a doula in training, and hopefully I'll use my first soon! The Red Vines is my favorite one. I will be an L.M. in CA next month. I love these type of slings. My second favorite is the Flame dots w/ bronze rings. It is wonderful that you can pick and choose fabric and rings that fit your personal taste.